For a time, years, whenever a person talked about a first-person shooter they called it a Doom Clone. Such was the power, the influence of one of the first, first-person shooters, the proto-FPS. But in establishing an entire genre, Doom also planted itself firmly in history, becoming a game that even its savvy creators seem to struggle to make meaningful in an age when first-person shooters are ever evolving and flooding the video game market. Consider Doom 3, a game of light and shadows, that while delivering big scares and high scores, still felt like a dated game fighting to stay true to its roots. In writing up my review of the game for the Rocky Mountain News, I said that "I wanted to be surprised and astounded. I wanted something that wasn't just a new look at a great game but a new take on that game. Instead of bland graphics wrapped around an original concept, Doom 3 is a vivid world of monstrous creations laboriously detailed (down to their blood-spattered chests) in a tired concept all too familiar to a new generation of gamers brought up on first-person shooters. When you strip away the eye candy, what you're left with is more of a virtual haunted house than the immersive experiences most of today's computer and video games have become." As we approach another Quakecon and another chance for id Software to give us our first glimpse of Doom 4, I wonder what they might deliver, can deliver that would satisfy today's gamers without moving so far from the game's nexus that it becomes Quake, or Rage or any of the other popular shooters now flooding the market. We don't know a lot about Doom 4, but based on what we do know, this is what I hope the game could deliver. The Doom series has never been one to dwell much on plot and character growth. Doom 3 did try to correct that, and to some extent succeeded, but it was still fairly unsurprising stuff. 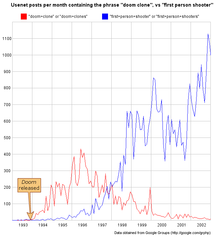 So why do I think Doom 4 will be any different? Graham Joyce. Brought in by id Software to "develop the story" for Doom 4, Joyce's surreal approach to science fiction, horror and fantasy could lend itself well to a story that already blends the occult with heavily-armed marines. Joyce's writing style, and personal beliefs, approaches the supernatural from a less antagonist point of view, with characters learning to deal with, rather than fight against that which they don't understand. Some have called it as a form of Magic Realism. Imagine a Doom 4 that is more Pan's Labyrinth then Brother in Arms in Hell. We know that Doom 4 is going to be using id Tech 5, the same graphics engine that built the impressive, wide-ranging Rage. That means it has the potential to do a lot of different things, in a lot of different settings very well. But what I hope id does instead is to narrow the focus of Doom 4, resisting the temptation to drop in vehicles, and big, open-world maps, instead using their tech to deliver small, labyrinthine settings thick with atmosphere. When I think of Doom, I think of corridors, maze-like levels and lots of dark settings. Doom 3 beefed up the atmosphere, but did it in such a hand-holding way that it ended up shrinking the scope of the game. I want Doom 4 to deliver that same sense of dread in a place that lets me run and run and run, and hide. Given the choice between a few sky-scraping demons bearing down on me and a room packed with low level demons, I'd take the multitude any day. I want the game's sense of scale to be more focused on the numbers than the size. If I'm fighting against the hordes of hell I want there to be hordes. I also would love to see that amazing graphics engine used to deliver the sort of macabre, frightening, unnerving creatures we expect from id Software. 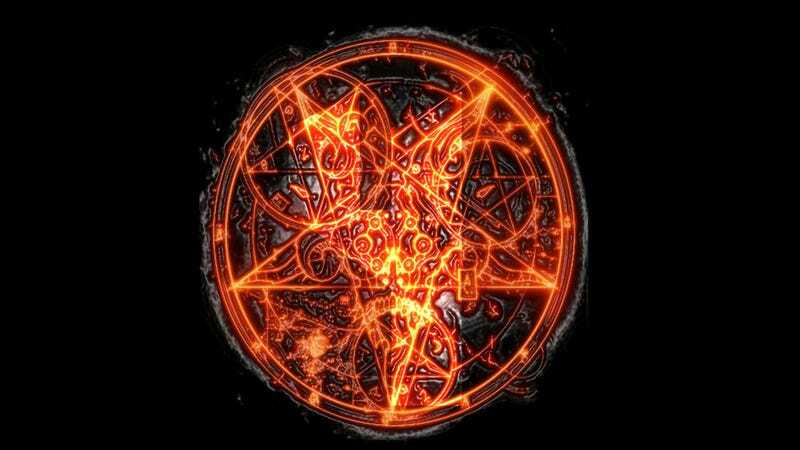 That means taking a new, id Tech 5 pass at their demons, Barons of Hell, Pain Elementals. And there had better be a grotesque Spiderdemon or two in the game. How did Doom go from being the chief online game of its era to an afterthought of online play with Doom 3? Shortly after the original Doom's release the game had become so popular on work computer networks that companies like Intel, and Microsoft had specific policies against playing the game. There was even a program, of a sort, written specifically to detect and stop the game when it was found running on networks. But when Doom 3 hit in 2004 it brought with it support for just four-player gameplay and four modes. Sure, the always-skilled mod community went back in and built in up to 16 players, but why wasn't id on top of that? This time around I hope to see a robust, fully supported online portion to the game, one rich with modes, options and mod support. Doom 4 doesn't need to reinvent itself, it shouldn't. Instead id should look at what they've created over the years, and with the help of id Tech 5, create the best of Doom delivered with a graphics engine that we know can blow us away. Of course, this is all just my opinion. What do you want from Doom 4?